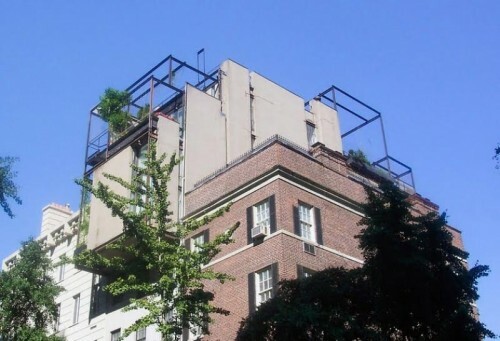 The latest Upper East Side landmark isn’t another of its signature rowhouses, but rather what’s atop one of those brownstones. 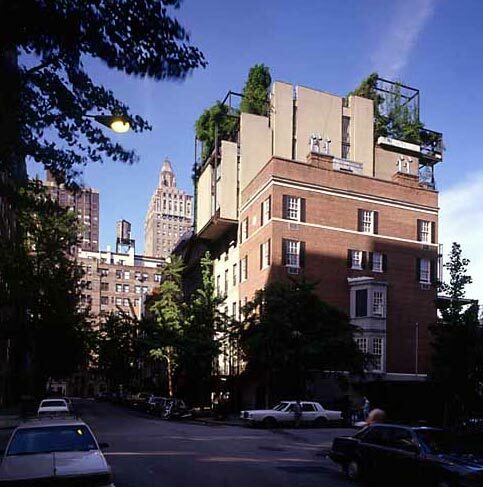 Yesterday, the New York Landmarks Preservation Commission unanimously approved landmark status for mid-century architect Paul Rudolph‘s less-than-context-sensitive home at 23 Beekman Place. Rudolph moved into the 4-story on which the addition sits in 1961 and added his three-story design in 1977, modifying the house throughout his life. Located between East 50th and 51st Street, 23 Beekman Place has been moving through the landmark process for over a year, and its approval marks an emerging phase in historic preservation. And yet there remains a certain alienness to a building like 23 Beekman. In a way, it is an oxymoron, a cancer atop a truly “historic building.” The very idea of a modern landmark is itself a contradiction in terms because modernism sought to wipe away history. Consider Robert Moses, Le Corbusier, even Rudolph, all trying to eradicate history, to defeat nature, end poverty and blight, addressing all of the world’s ills through their work. Where better to recognize this tension than a building with such a clearly split personality? And yet all of that Utopian zeal failed as much as it succeeded, so much so that many of the buildings it left behind are now unloved, even hated. This makes modernist preservation all the more essential and immediate. Not only have these buildings-beyond-time themselves aged (some quite severely), but they have become examples of architectural idealism, experimentation, and failure. Thus they are something to be saved, even as they sought to wipe out their forebears.